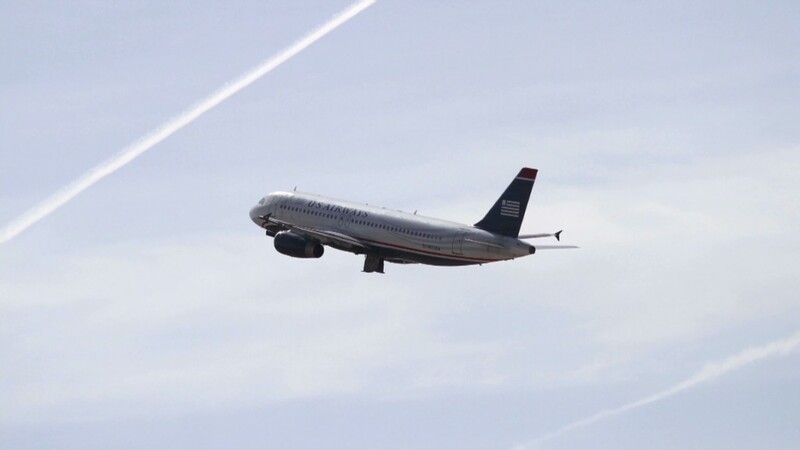 The big question for passengers: Will the US Airways-American merger lead to higher fares? In 2014, US Airways and American Airlines will be merged. Whether that means higher fares for fliers isn't completely clear. According to the Justice Department, the antitrust settlement it reached with the airlines Tuesday will mean that many customers will end up seeing lower fares. That's because the deal included greater access for low-cost carriers such as JetBlue Airways (JBLU) and Southwest Airlines (LUV) to the limited number of landing and take-off slots at Reagan National Airport in Washington and New York's LaGuardia. "Competition is kind of a magic potion here," said Bill Baer, assistant attorney general for antitrust. "When airlines are going head to head on routes, they tend to respond to each other." Baer said Justice agreed to the deal because it would do more to lower fares than would have been achieved by simply blocking the proposed merger. But officials with American (AAMRQ) and US Airways (LCC) said Tuesday they are not worried about greater competition from bargain airlines. US Air CEO Doug Parker said Tuesday that low-cost carriers were already offering strong competition on prices nationwide, and the slots the combined airlines agreed to give up did not change that dynamic. The two airlines had been arguing that the combination would help, not hurt, passengers by providing them with a stronger combined network. Various studies of the impact of recent mergers on airfares suggest the impact has been fairly limited. A PricewaterhouseCoopers study found that airfares are up less than 2% a year since 2004, a period that includes four major airline mergers. The fares rose at a slower rate than the rise in jet fuel and labor costs during the same period. 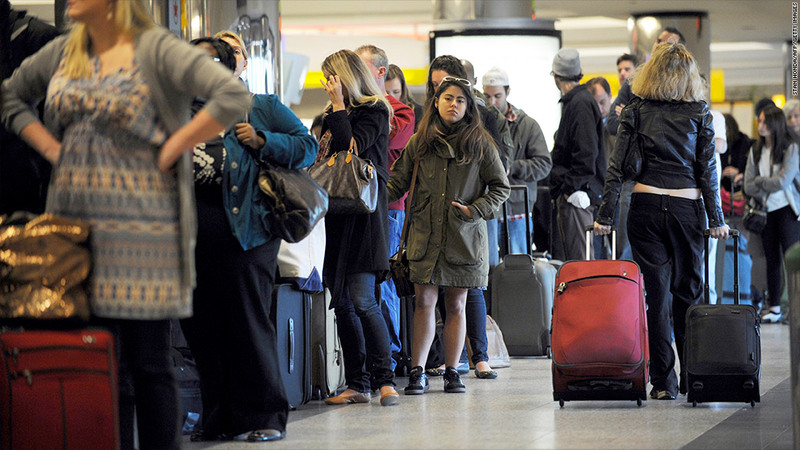 Seth Kaplan, managing partner of industry trade publication Airline Weekly, said there are very few airports like Reagan National and LaGuardia, which have limited capacity and slots. Upstart carriers can enter most other markets if the merged American Airlines tries to hike fares too high. "If the combined American starts to charge a fortune to fly from Charlotte to Dallas, someone else is going to jump in there," Kaplan said. He also said that while American and US Airways might be the only carriers now flying non-stop flights on some routes, there are plenty of other airlines that will serve the two cities involved with connecting flights. "The typical impact of the merger is that someone who might have four or five connecting options will now have three or four," he said. Kaplan said mergers do help airlines improve profitability, both by cutting costs and also because they are able to charge somewhat higher fares on some of their routes. But he said the lower fares that passengers enjoyed before the latest round of mergers resulted in several airline bankruptcies. American parent AMR filed for bankruptcy itself in 2011 and has yet to emerge. Kaplan said the greater access to New York and Washington for Southwest and JetBlue will help fares in those markets, but won't make a significant difference elsewhere in the country. And while US Airways and American are also giving up gates at Boston's Logan, Chicago's O'Hare, Dallas' Love Field, Los Angeles and Miami airports, those divestitures are far more limited. "If the merger had gone through the way the airlines originally wanted, rather than how Justice demanded, fares nationally would have gone up a bit but not skyrocketed," said Kaplan. "Now with this deal, if you average it all out, fares will now go up nationally by a couple of dollars less."